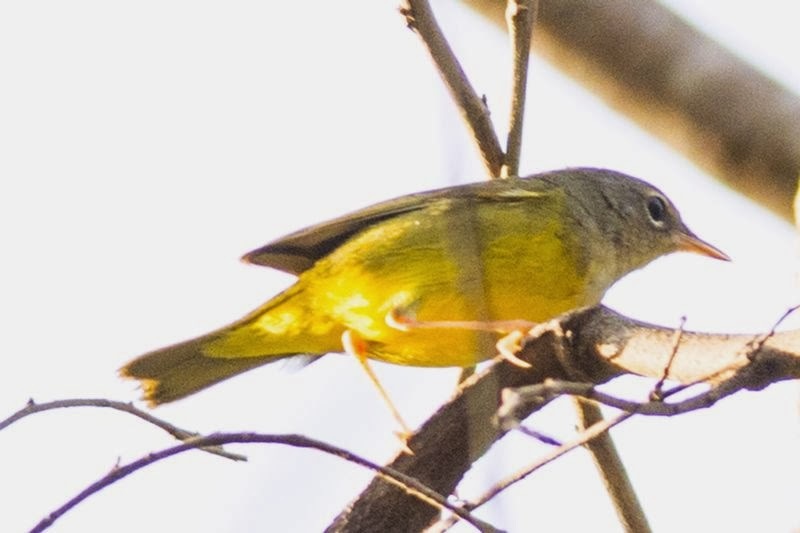 Osvaldo Quintero photographed this MacGillivray's Warbler on Sunday, February 2 near the pond at Metropolitan Nature Park. He returned to the site this morning and may have photographed it again. More details to come. Jerry Kruth from Pennsylvania, USA shared his doubts about the ID of this bird as a MacGillivray's Warbler, as did I. Our comments are pasted below, in reverse chronological order. Hi Cindy, and it's great to hear from you, hope all is well at your place. It's FREEZING here! You're probably right on about the Chat. It was just a guess. Could be Mourning. Another PA birder sent a link; check it out and your folks in Panama can decide. best wishes to you, Marco, Bill and all the Cerro crowd. 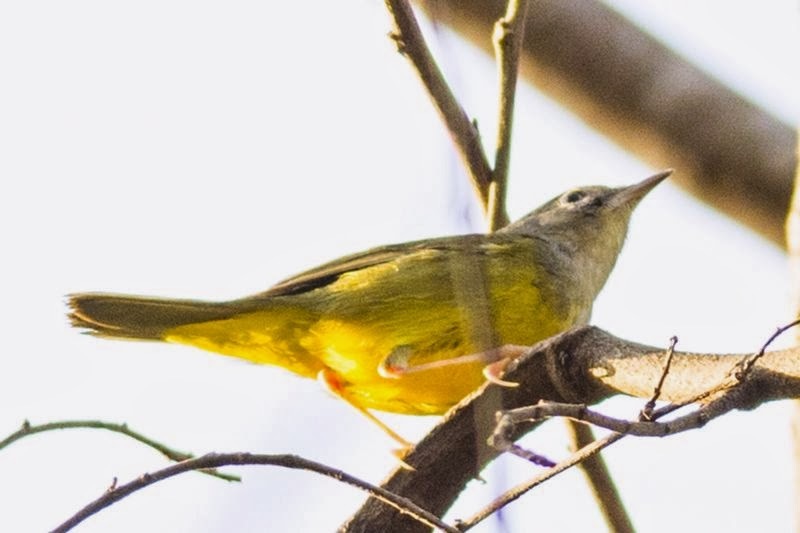 Subj: Re: [PABIRDS] Fwd: Off-topic; MacGillvary's Warbler in Panama? I hadn't seen this - thanks for mentioning it, Jerry. I agree that it does not look like a MacGillivray's Warbler. The bib or band of gray on the breast of MacGillivray's is completely across the breast, even on females and immatures. Additionally, the eye arcs on the bird in these photos are very thin. On MacGillivray's the eye arcs are much thicker. It's not Yellow-breasted Chat. The bill is not large/heavy enough, and even a first fall female would have a brighter, more saturated yellow breast and throat. Also, all plumages of Yellow-breasted Chat have white spectacles (not just eye arcs) that contrast with the dark lores. Why is it not a Mourning Warbler? I would like to suggest you take another look at the identification of this individual. I am not the world's maximus birding expert, but have seen enough MacGillivray's Warblers to believe this is NOT one of them. The main doubt I have is, the gray hood extending down into a well-defined "Bib" on the front breast of the MacG is totally absent. There is a clear and distinct yellow throat; which shows no sign of graying. Even young birds and females show this bib,and this one by now is no fledging. 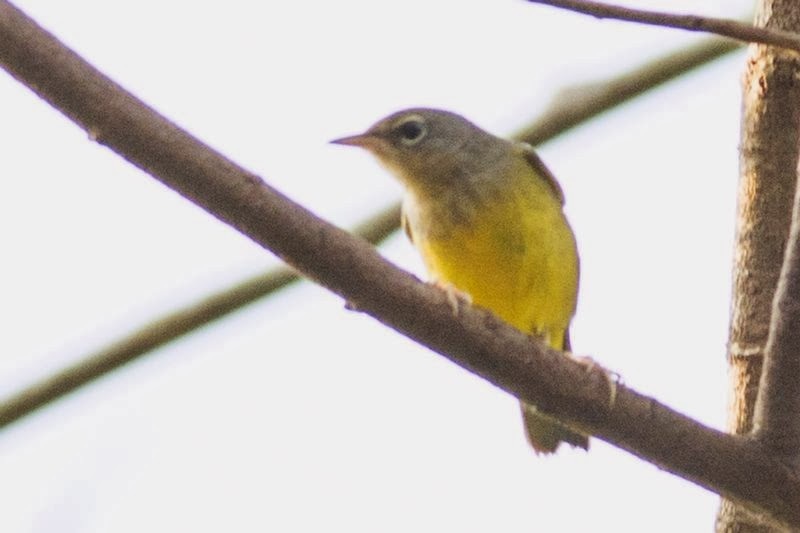 Although I do not know all alternatives, from here it looks like it is more likely to be a Yellow-breasted Chat? I will post to the Pennsylvania List Serve to see if any of my compadres has a thought and I would be very interested to hear what anyone else has to say?